I'd love to see this happen, but there's many obvious issues to overcome. 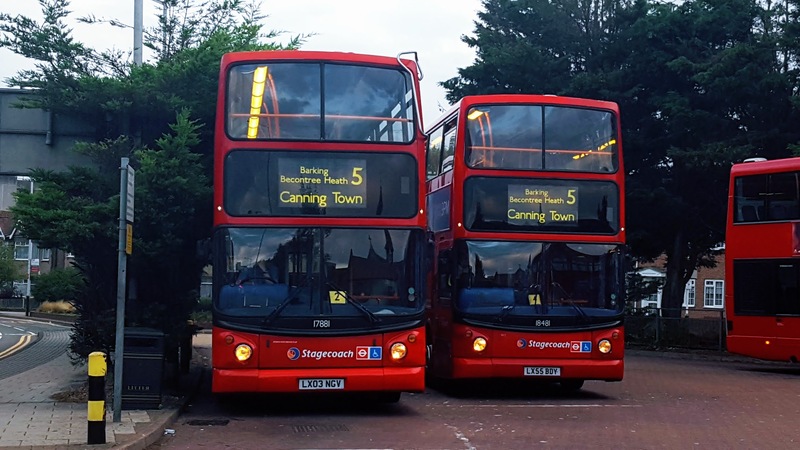 The buses are on the 452 now, the 25 going back would require all those extra buses restores which would not be able to happen, especially as this time around they'll all have to be Hybrid. Certainly doesn't sound like a temporary measure by any means, unless the intention was to wreck usage to further cut it back. Can’t say I’m surprised about this. I was against the proposal to cut it to City Thameslink anyways. What sense does it make to cut the busiest route in London to the middle of nowhere! After seeing how overloaded the 8 was yesterday this needs to happend. This has also happened since the 242 was cut back, now made worse when the 25 was cut back last December. The 242 now carries fresh air since it was cut back to St. Pauls and hardly carries a decent load anymore in the city. I hope something comes of this it's ridiculous to just cut a route off in the middle of nowhere especially as crossrail hadn't started running yet but I remember the same outcry when the 8 was cut back in around 2009 from Victoria to Oxford Circus nothing came of it .. It's ridiculous that the route had to be cut before Crossrail opened just because the buses were needed for the 452, couldn't TfL have come to some arrangement with Abellio to continue running the 452 until Crossrail opened? I cant see anything coming of it, it was a deliberate ploy to save money and would save them more when the route comes up to retender. They would cut the costs right down. It wouldn't surprise me if they even try to make the existing operator cut their margins further as they have been doing with many recent tenders. I think the best that could be achieved now would be some sort of supplementary 'rail replacement service' between Holborn Circus and Oxford Circus until Crossrail opens but even that would seem unlikely.